AVID stands for Advancement Via Individual Determination. We invite you to read through the information on this page to learn more about this invaluable program. AVID targets students in the academic middle - B, C, and even D students - who have the desire to go to college and the willingness to work hard. These are students who are capable of completing rigorous curriculum but are falling short of their potential. Typically, they will be the first in their families to attend college, and many are from low-income or minority families. AVID pulls these students out of their unchallenging courses and puts them on the college track: acceleration instead of remediation. The AVID curriculum, based on rigorous standards, was developed by middle and senior high school teachers in collaboration with college professors. It uses the WICOR method, which stands for writing, inquiry, collaboration, and reading. We use AVID curriculum in AVID elective classes and in content-area classes in AVID schools. One key to a successful AVID program is a site coordinator/teacher who is a respected site instructional leader who works well with secondary school personnel, college students, and faculty; who can organize curriculum as well as activities; and who is committed to serving the needs of target students. The coordinator also works with colleagues to implement AVID methodologies school-wide, to place students in college preparatory curriculum, and to work with counselors to guide students through the college application process. 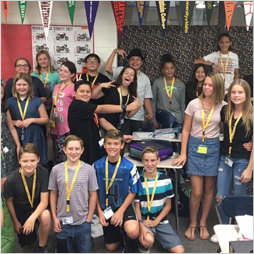 Tutors are essential to the success of the AVID elective class, where they facilitate student access to rigorous curriculum. As students from colleges and universities, tutors receive formal training and also serve as role models. 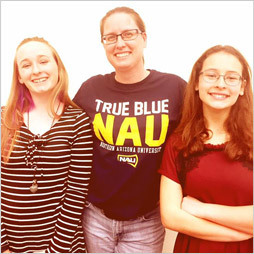 AVID students who continue their education in college often return to the program as tutors. 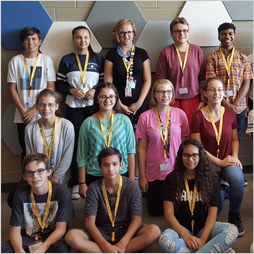 AVID parents encourage their students to achieve academically, participate on an advisory board and in AVID parent and site team meetings, and maintain regular contact with the AVID coordinator. Many parents and students participate in AVID Family Workshops. Colleges demonstrate their support of AVID programs in many ways. 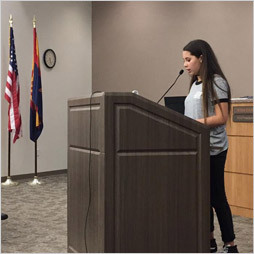 They may provide class speakers, offer college credit courses to AVID high school students, include AVID students in residential, academically oriented summer bridge programs, and follow and support the progress of AVID students during their college careers. 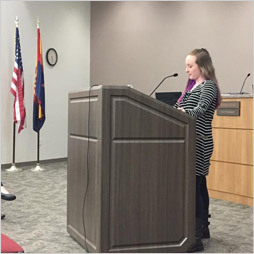 The community supports AVID by providing speakers and summer apprenticeships for AVID students.